Apple Watch Stuck On The Apple Logo? Here's The Fix! You are at:Home»Apple Watch»Apple Watch Stuck On The Apple Logo? Here’s The Fix! Your Apple Watch is frozen on the Apple logo and you don’t know what to do. You’ve tried tapping the screen, Side button, and Digital Crown, but nothing’s happening! In this article, I’ll explain why your Apple Watch is stuck on the Apple logo and show you how to fix the problem for good. When I first got my Apple Watch, I was quite surprised how long it took to turn on. On more than one occasion, I’ve thought that my Apple Watch was stuck on the Apple logo, when in fact I just had to wait a little longer. If your Apple Watch has been frozen on the Apple logo for several minutes, then it probably actually is frozen. However, don’t be surprised if it takes your Apple Watch about a minute to turn on after the Apple logo appears on the display. Most of the time when your Apple Watch is stuck on the Apple logo, its software crashed while turning on and your Apple Watch is frozen. We can reboot a frozen Apple Watch by performing a hard reset, which forces your Apple Watch to abruptly turn off and back on. To hard reset your Apple Watch, simultaneously press and hold the Digital Crown and the Side button. Release both buttons when the Apple logo appears in the center of the Apple Watch face. Note: You may have to hold both buttons for 15-30 seconds before the Apple logo appears. After hard reseting your Apple Watch, you may have to wait a few minutes before it turns back on. If the hard reset fixed your Apple Watch, that’s great! However, it’s important for you to know that a hard reset is almost always a temporary fix. When your Apple watch gets stuck on the Apple logo or freezes in general, there’s usually a deeper software issue causing the problem. You could just hard reset your Apple Watch every time it freezes on the Apple logo, but we want to show you how to fix this problem so it doesn’t come back! I Hard Reset My Apple Watch, But It’s Still Stuck On The Apple Logo! Before I move on from the hard reset entirely, I want to address what to do if your Apple Watch is still stuck on the Apple logo after you’ve performed a hard reset. 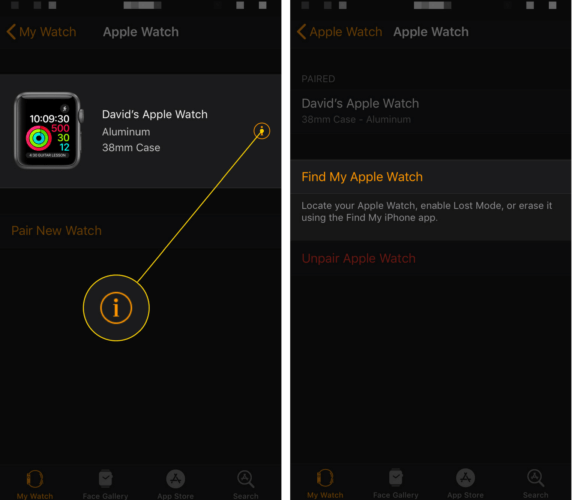 If you experienced this bug on your Apple Watch, you can usually get it off of the Apple logo screen by using the Find My Apple Watch feature in the Watch app on your iPhone. Open the Watch app and tap on the My Watch tab. Then, tap on the name of your Apple Watch at the top of this menu. Tap the information button (look for the “i” in a circle), then tap Find My Apple Watch. 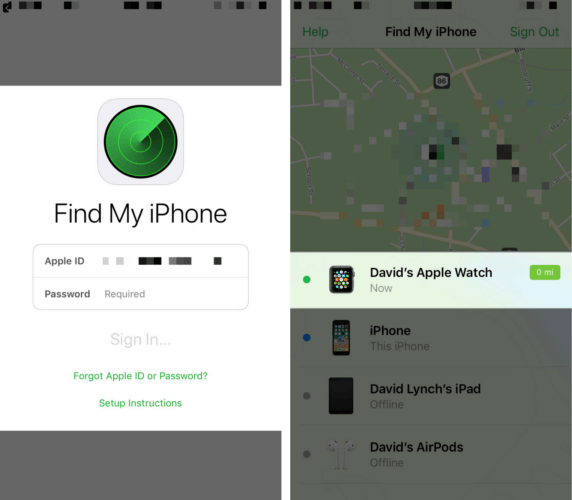 After tapping Find My Apple Watch, you’ll be prompted to log into Find My iPhone using your Apple ID. Next, tap on your Apple Watch in the list of your devices. Finally, tap Actions -> Play Sound. After playing a ringing sound, your Apple Watch should no longer be stuck on the Apple logo. You may have to tap Play Sound more than once for this step to work. Now that we’ve performed the hard reset and have gotten your Apple Watch unstuck from the Apple logo, let’s discuss how to fix this problem for good. 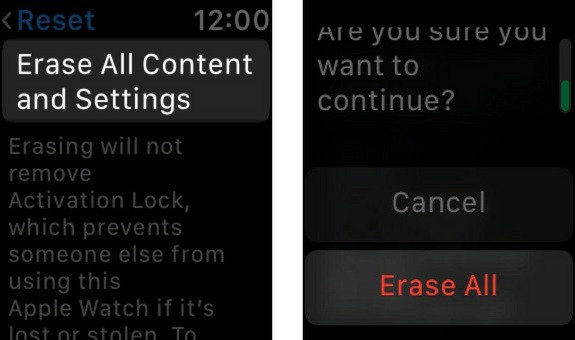 To address the deeper software problem that’s freezing your Apple Watch on the Apple logo, we’ll erase all of its content and settings. This will delete all of the data and media (photos, songs, apps) on your Apple Watch as well as reset all of its settings to factory defaults. Remember when you took your Apple Watch out of the box for the first time? After performing this reset, your Apple Watch will be exactly like that. Open up the Settings app only our Apple Watch and tap General -> Reset -> Erase All Content and Settings. You’ll have to enter your Apple Watch passcode, then confirm your decision by tapping Erase All. Your Apple Watch will restart once the reset has completed. Once the reset is complete and your Apple Watch has turned back on, you’ll have to pair it back up with your iPhone. When you do, I recommend that you do not restore from a backup. If you restore from a backup, you may end up loading that same software problem back onto your Apple Watch. 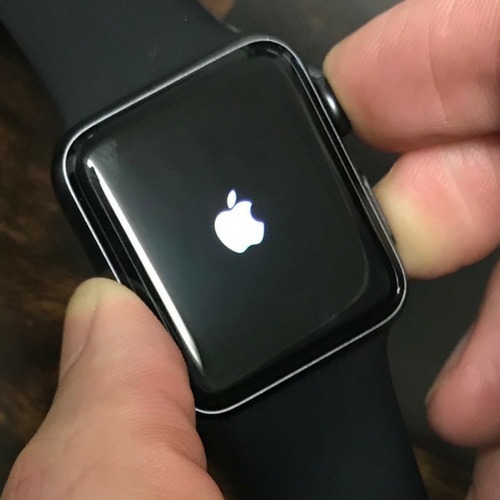 If you reset your Apple Watch and didn’t restore from a backup, but your Apple Watch keeps getting frozen on the Apple logo, then there may be a hardware problem with your Apple Watch. If you’ve recently dropped your Apple Watch on a hard surface, its internal components may have been damaged. Set up an appointment at your nearby Apple Store and have a technician or Genius take a look at it. If your Apple Watch is protected by AppleCare, you may be able to get it fixed for free. You’ve fixed your Apple Watch and it’s no longer getting frozen on the Apple logo. Next time your Apple Watch is stuck on the Apple logo, you’ll know exactly how to fix the problem. I hope you’ll share this article on social media or leave me a comment down below if you have any other questions about your Apple Watch! Previous ArticleHow Do I Turn Off Wrist Detection On Apple Watch? The Fix! 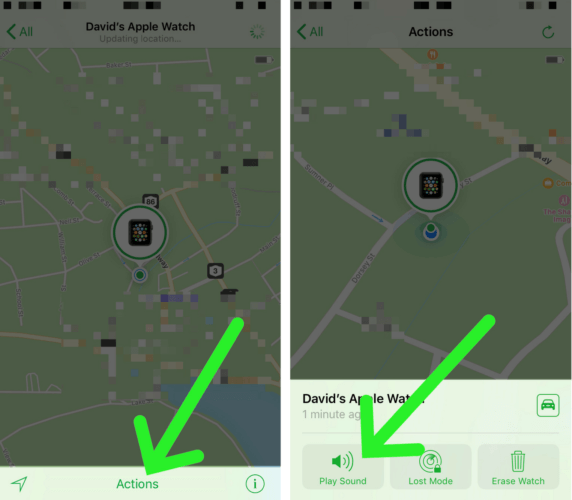 Next Article Not Getting Notifications On Apple Watch? Here’s The Solution.